The pretty feminine blouse looks great when paired with both jeans or business trousers. This blouse sits casually which means it sits loose and comfortably. 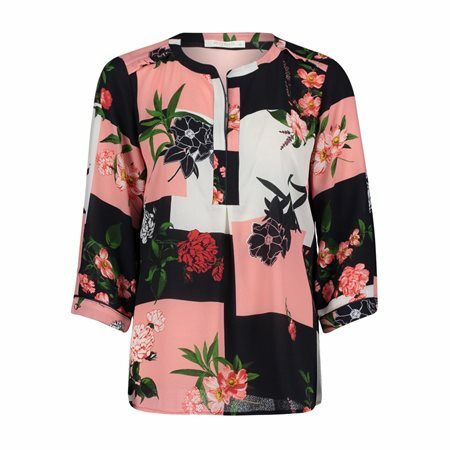 Betty & Co has designed this blouse to look feminine with its pretty floral print on a colourful background. This blouse has been finished with mid length sleeves and a rounded neckline.